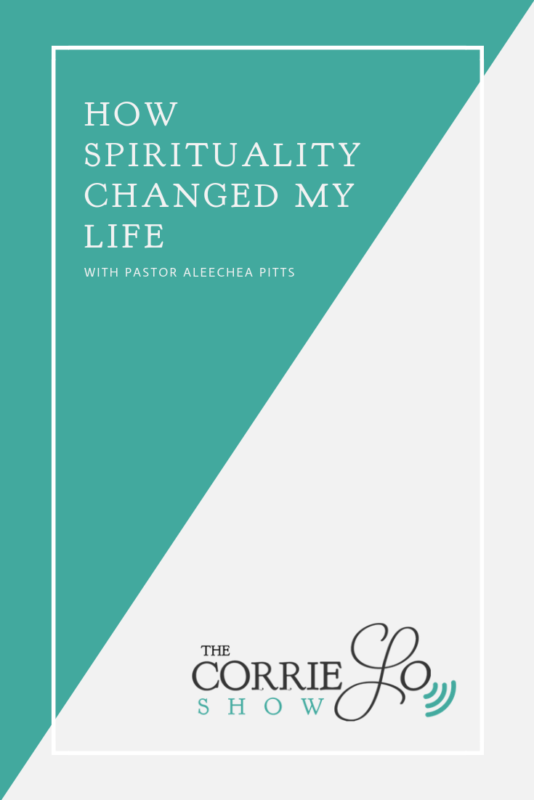 How spirituality changed my life is a story being shared today on the Corrie Lo Show. Imagine you’re a teenager who hates the world. Every day you are tormented by your peers just for being who you are. As a result, you’ve tried unsuccessfully to commit suicide. After that, one day at a basketball game a stranger hands you a card, and it changes your life forever. 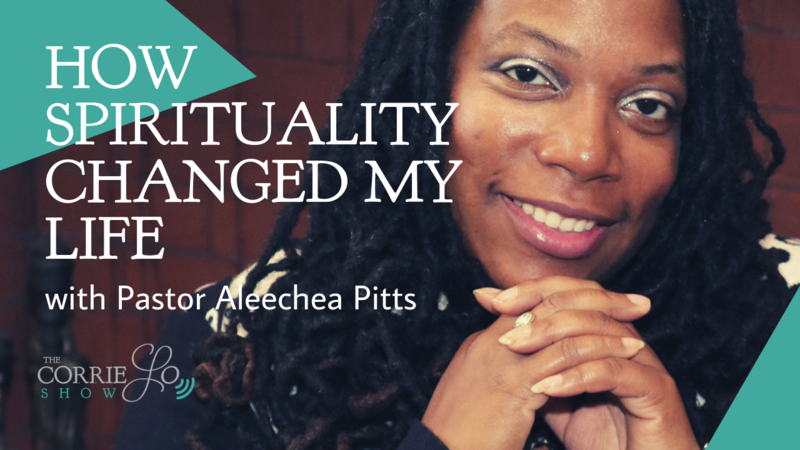 This is exactly what happened to today’s guest, Pastor Aleechea Pitts. What exactly did the card say? You’ll have to listen to our interview to find out. On today’s show Pastor Pitts and I discuss her inspirational life story, including its pivotal changing point. We also discuss the difference between religion and spirituality, and my own experience with how spirituality changed my life. In other words, if you are a teenager this episode is for you. By the end of our conversation, you’ll know how to get help if experiencing suicidal ideation. You’ll also be able to decide for yourself is spirituality can become a tool to help you battle your demons. Aleechea Pitts fondly known as Pastor Pitts currently serves The Millville, NJ Police Department as a Police Chaplain. She is multifaceted, a Christian speaker, mentor, author, singer & musician. In her words, “I live a life of servitude & leading by example is my most effective means of leading others.” Aleechea is a mother to many & has been blessed with one child: Tesia (26). Leave your thoughts on the topic in the comments below. This entry was posted in Adversity, The Corrie Lo Show and tagged advice, anxiety, astrology, awakening, awareness, Books, change your life, college, consciousness, energy, enlightenment, god, guided meditation, how spirituality changed my life, journey, knowledge, kundalini, law of attraction, life, life changing books, love, makeup, meditation, new age, peace, personal development, self-help, self-love, spiritual, spiritual awakening, spiritual books, spiritual journey, spirituality, the secret, third eye, universe, vegan, vibration, wisdom, yoga. I teach people how to harness their emotions and lead more fulfilling lives by utilizing mindfulness, spirituality, creative expression, Reiki, NPL, EFT, and wellness practices. I'm a single mom, a survivor of miscarriage, divorce, abuse, & suicide-loss. Receive weekly inspiration for leading an emotionally fulfilling life and business by signing up for my email list.